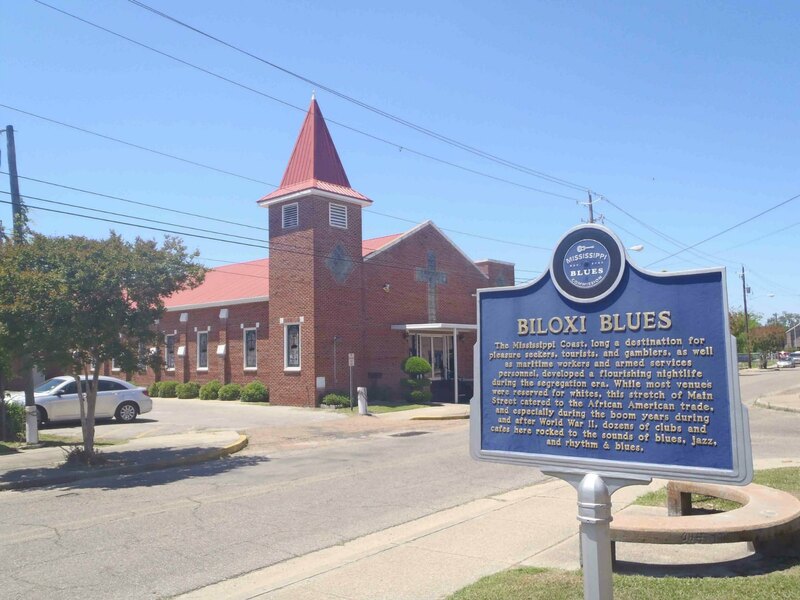 The Mississippi Blues Trail marker for Biloxi Blues is on Main Street, at the intersection with Murray Street, in Biloxi, Mississippi. 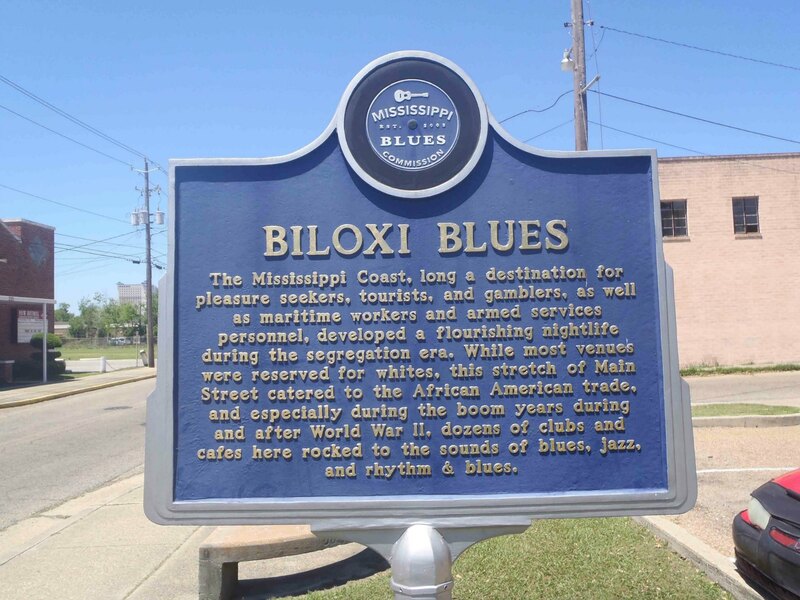 Unfortunately, that thriving music scene described on the Mississippi Blues Trail Biloxi Blues marker has long since disappeared and there is no evidence of it on this part of Biloxi’s Main Street today. 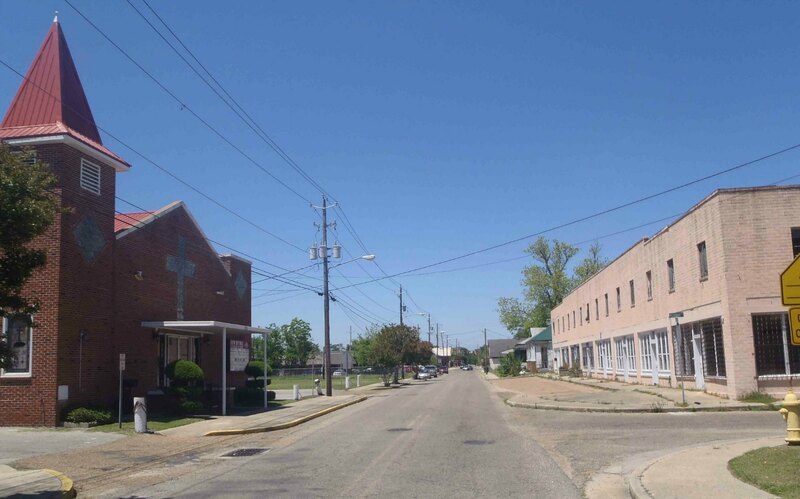 The above photo shows this section of Main Street, Biloxi, Mississippi as it appears today.